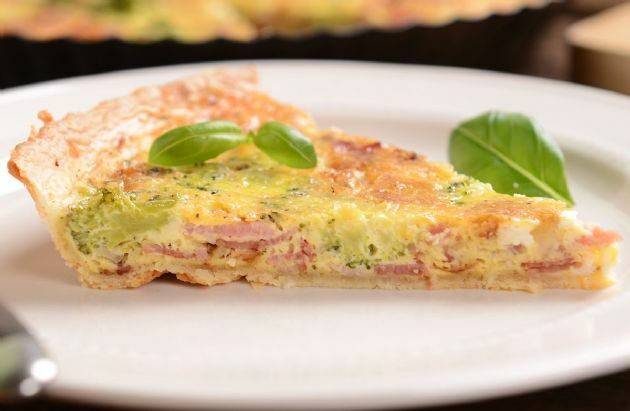 This protein-packed quiche makes for a great breakfast or light lunch. This protein-packed quiche makes for a great breakfast or light lunch. Mix all ingredients in a large mixing bowl. Pour into a pie dish sprayed with Pam or other cooking spray. Place on cookie sheet in oven. Bake approximately 45 minutes or until center is just set.